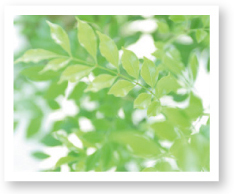 Mitsuwa Electronic Co., Ltd. practices development and provision of products and technologies in consideration of environmental conservation in all aspects of our business activities, and will contribute to the realization of harmony between people and nature. Always being aware of the impact on the environment of our general business activities, we continually push forward to develop and deliver eco-friendly technologies and products. Our company complies with laws, protocols and other agreements related to the environment. We are expanding activities such as resource conservation, energy conservation, and material procurement with less environmental impact and by recycling, etc., in order to minimize use and emissions. We ensure that all employees understand and comply with our Environmental Policy, so as to gain a heightened consciousness of the environment, and to improve our efforts for reducing our environmental impact. We endeavor to widely disclose required information through communication within and outside our company.